Pop.Up next: concept flying taxi system. Traffic congestion is currently the biggest problem to solve in megacities. To address the problem, three companies came together namely Airbus, Audi, and Italdesign. The current traffic conditions are getting worse and if we neglect the problem it will soon turn into a nightmare. The solution to the problem is the Pop.Up Next; a flying taxi concept to solve the issues relating to the urban mobility. Traveling from point A to point B is a need for everyone. The reasons for travel may vary from person to person. Rapid urbanization limits the availability of the resources for commuting. The infrastructure development doesn’t move as fast as the urbanization. Furthermore, infrastructure projects are costly to build and operate. As a result, the growth in infrastructure projects slows down. So, to address the above-mentioned issues, the Airbus and Automotive engineers come together. They thought on it, discussed with the designers and found a simple solution i.e. the modular flying Taxi. The Pop.Up Next flying taxi will be emission free and modular. Hence, it can move on roads as well as fly in the air. What is Pop.Up next flying Taxi solution? The Pop.Up next revolves around Pop.Up, an ingenious modular ground-and-air concept vehicle. Pop.Up essentially consist of three components which include a carbon fiber passenger capsule, a battery powered ground module and an electrically propelled air module consisting of eight counter-rotating rotors. So, this vehicle can be simply run on the ground and in the air by two separate modules. In addition, the vehicle to vehicle communication adds to safety & efficiency. Furthermore, the solution is very simple to integrate with upcoming transportation solution such as the Hyperloop. The existing infrastructure development is not enough for the concept. The most important part of the project is the certification of the vehicle which needs coordinated efforts between the governments, companies and social communities. How Pop.Up flying taxi will work? The mode of operation is very simple. The passenger waiting to travel will book the journey via an app. The system will automatically suggest the best route. The capsule transforms into a vehicle by connecting to the ground module. In addition, when the roads are congested, the capsule will call the air module. Thus, it will disconnect itself from the ground module and become a flying car or self-piloted urban air vehicle. So, the flexibility gives immense potential to this concept. Air is still not been explored for the city commute. However, Airbus purposely showcased the Pop.Up next concept in Geneva motor show. The presence of such technology change the way people think about the urban commute and bring positive conversations. In conclusion, we have no doubt that the incorporation of the third dimension in the urban mobility will change the way we commute for sure. The strategic partnerships among governments, companies, and people will help address the most striking issue of the 21st century. 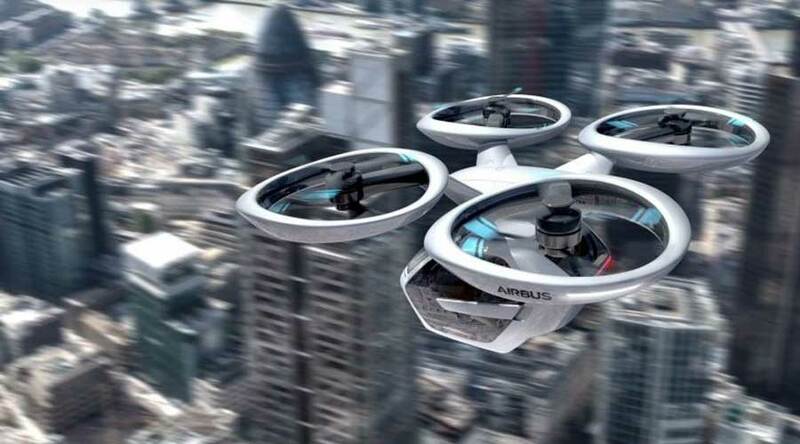 It’s a really a great step forward by the Airbus, Audi, and Italdesign towards solving the problems of urban mobility. Nikola one: A pioneer of electric trucking! Alti-Green HyPixi: Make “Every Car a Hybrid” In India.!! AlcoStop: Drink & Drive? Not Anymore..!